Russia has declared to Venezuela it ‘will prevent’ a U.S. invasion of the Latin American country where dictator Nicolas Maduro has come begging to Moscow for help. Russia’s Federation Council (upper house) Speaker Valentina Matviyenko told a meeting with Venezuela’s Executive Vice-President Delcy Rodriguez, who is paying a working visit to Moscow, reported Russian state news agency TASS. “We are very afraid that the United States may stage any provocations to provoke bloodshed and find a reason and pretext for intervention in Venezuela. But we will do our utmost to prevent this,” Matviyenko said. Russia is absolutely against any external meddling the affairs of sovereign independent states, she stressed, added TASS. 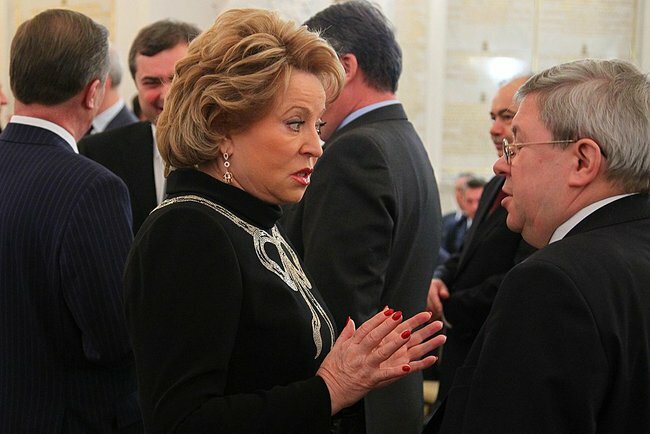 “I’m sure that you were able to see that Russia feels sympathy with what is happening in Venezuela and solidarity with the people of Venezuela and supports the legitimate government in its fight for sovereignty and the country’s independence,” Matviyenko told Rodriguez. “We are absolutely sure that the crisis, which was artificially created by the US in Venezuela, can be solved only by peaceful means and only in the framework of the inclusive dialogue of all political forces and the Venezuela people have the right to decide on its present and its future,” she said. The statements by Matviyenko may also have something to do with the billions in dollars of loans the Russian Federation has provided to the socialist government in Caracas. Losing that money and influence in the country would be a public setback for Vladimir Putin, one that he cannot afford currently with the economic situation inside Russia.